City Park’s Scout Island is made up of towering oaks, swampy woods, and placid lagoons, which makes for a spooky atmosphere after dark. This year, it will be home to a new immersive Halloween attraction called Scout Island Scream Park. The park will be loaded with creepy monsters, dazzling illusions, intricate costumes, special effects, and animation to create the ultimate haunted experience. Scout Island Scream Park will be family-friendly during the day, with a pumpkin patch and hay rides, but will transition into a terrifying adults-only event after dark. 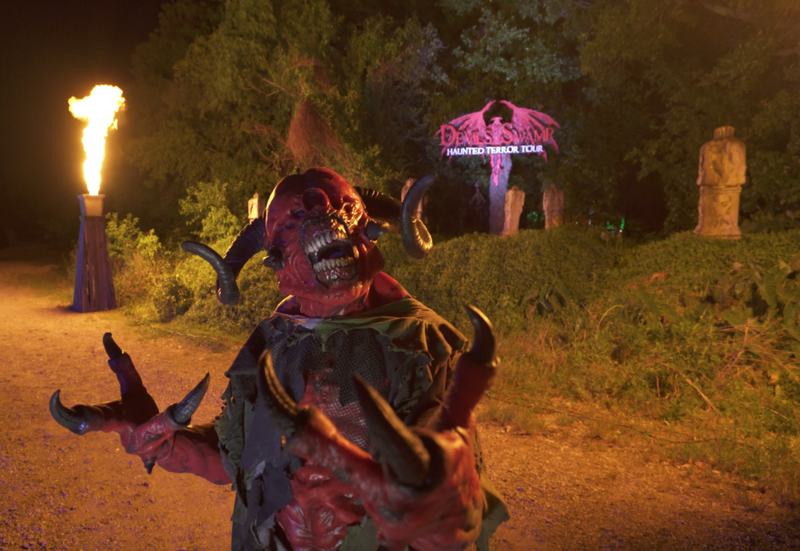 We’ve got all the info you need to make the most out of your trip to Scout Island Scream Park. Read on…if you dare! Unlimited one-night passes are $49 per person, and VIP tickets, which allow guests to skip the lines, are $79. Visitors of all ages need a ticket to enter Scout Island. You can buy general admission tickets online and purchase add-ons and upgrades at the door. 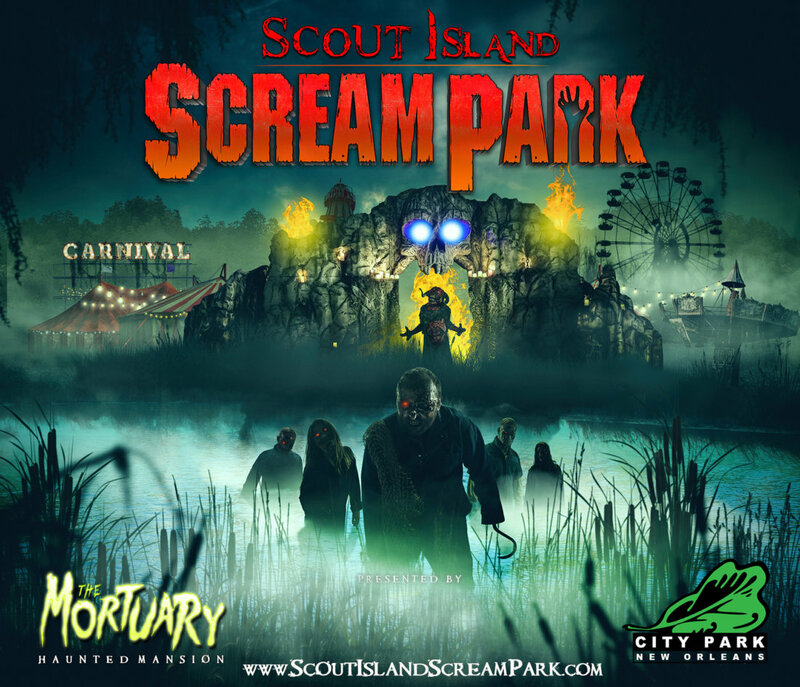 Scout Island Scream Park’s opening night is Friday, October 5, and it is open Friday and Saturday nights through November 3. The park is also open October 25-31, the week leading up to Halloween. Bring any Coca-Cola product with you to the gate to receive $5 off your admission. Fright Zones are like outdoor haunted houses in areas throughout the island. Here, actors roam the area to startle and surprise you with creatures lurking in the crevices. Start at Cirque du Fear, which features amusement park thrill rides, fortune telling, and freak shows. Grab some refreshments at the Kraken Pirate Pub and Music Hall. 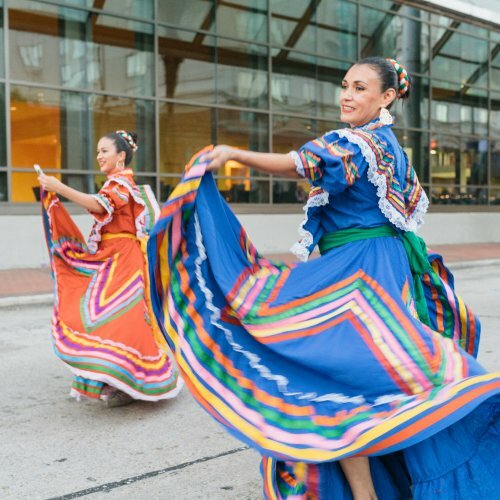 Here you’ll find craft beer, spirits, and upscale food plus a dance floor with live music or a DJ. The Blood Bayou is inspired by Louisiana’s pirates. Guests walk through the ruins of an old fort and the hangman’s gallows. Keep an eye out for undead pirates along the trail! Last but not least, the Horseman’s Fright Zone calls to mind Sleepy Hollow. You may encounter the Headless Horseman in these shadowy oaks. Entry to the fright zones is included in the $13 general admission price. Scout Island Scream Park is home to three special haunted attractions, which cost extra for visitors. The Devil’s Swamp Haunted Terror Tour challenges guests to find a way to escape this haunted swamp that is the gateway to the underworld. 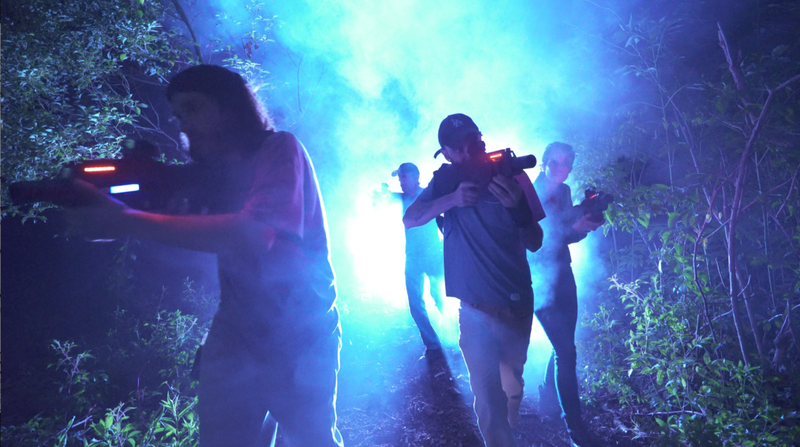 The Zombie Outbreak Battlefield is a live combat zombie shootout which throws guests into a “fight or die” mission to survive a zombie outbreak. Visitors will be reminded of a video game as they work in teams to clear the undead out of an infested military base. Lastly, the Scream Factory is a haunted house with twisted mirrors, creepy clowns, and terrifying living-dead dolls. Scout Island Scream Park is open to children during the daylight hours, allowing families to bring their younger children. The Kids Zone section of the island offers a pumpkin patch, face painting, a bounce house, a hay bail maze, and an entertainment tent. Kids can ride a tractor through the wooded perimeter of the swamp for family-friendly Halloween fun.